The battle to secure the estimated $14-20 billion LAND 400 contract is heating up between Victoria and Queensland, with both states hoping to be selected as the site for the Army’s biggest ever acquisition project. Recently re-appointed Victoria defence advocate Greg Combet spoke with Defence Connect about the state's bid and how it is shaping up in the competition. "Number one [priority] at the moment is LAND 400, which as your listeners will appreciate is a part of a major program to renew the vehicle fleet for the Army, Phase Two of it is for 225 vehicles," Combet said. "Not a large number, but these are complex pieces of technology and Phase Three will follow with a further 400-odd vehicles. It's billions of dollars in production and then sustainment for many years to come for the Army. That's my number one at the moment. We're in a competition with other states, unfortunately, but with a project like this, this is how it's played out." BAE Systems Australia and Rheinmetall are both tendering for the project. 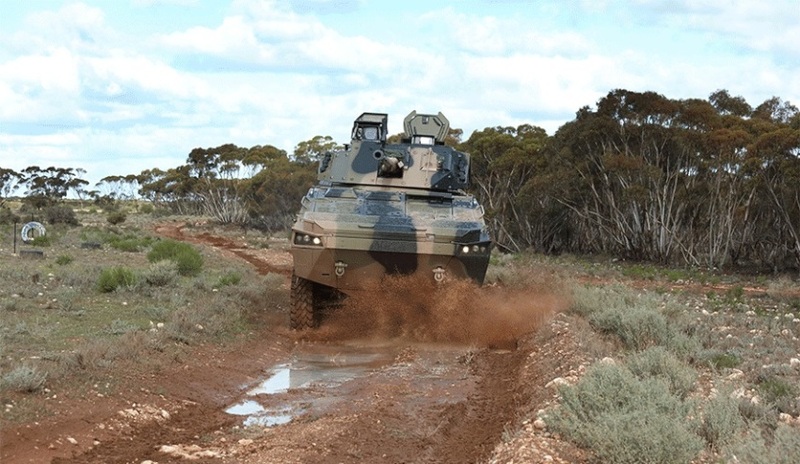 Rheinmetall has shortlisted both Victoria and Queensland as a potential site for the centre of excellence to build and maintain the vehicles, while BAE Systems has headquarters in South Australia. Combet said he is confident what Victoria has to offer will be enticing to both potential winners. "We're in a competition to attract the two down-selected bidders, that's BAE and Rheinmetall from Germany. Their vehicles are out being tested at the moment by Army," he said. "I'm in negotiations on behalf of the state government with both of those companies and presenting to them the infrastructure that we think would suit them to make a decision to locate, if either one were to win, to locate the LAND 400 production facility in Victoria. We're deeply engaged with those two companies at the moment." Victoria is hoping it's trump card for securing the contract will be its well-established manufacturing sites. "The state government last year purchased from General Motors, Holden, their Fisherman's Bend facility where the Holden engines have been manufactured for many years," Combet said. "It's about 37 hectares, very close to the port, heartland industrial area and very close to the CBD. Having purchased that site and it's adjacent to the Defence Science and Technology Group facility in Fisherman's Bend, we're pitching that site to both Rheinmetall and BAE." While the former politician and trade unionist said the state has pitched other sites too, they are confident Fisherman's Bend will be a firm favourite to either tenderer. "We offered them [BAE and Rheinmetall] the opportunity of many other sites in Victoria, including in Geelong for example, but Fisherman's Bend, I think, has certainly captured their interest. That's quite a unique opportunity because it's next to the DSTG," he said. "There's various suppliers in proximity. There's great transport infrastructure. There's existing industrial and office facilities that can be modified. I think that has some attractions and I hope to be able to secure the commitment of both companies, but we'll see." An established military vehicle supply chain is also another benefit the state has up it's sleeve in pitching itself as a superior site for the build and maintenance of the vehicles. "Having it in Melbourne will give a greater opportunity, without any doubt, to the supply chain in defence vehicles, military vehicles, and of course, you've gotta remember, we've got Thales manufacturing the Bushmaster and Hawkeye at Bendigo, there's an established military vehicle supply chain," Combet said. "It's the natural state for LAND 400 to take place, really. We've had the economic modelling done. And particularly if the Phase Two winner leads to Phase Three, or the Phase Two facilities where Phase Two is carried out leads to another company winning Phase Three and carrying it out in the same location, the economic benefits are significant and they're long-lasting, and that's why we're playing hard to win." As for when we may find out which state will be successful in securing the site for the LAND 400 project, Combet said there is still a way to go. "It's a stiff interstate competition and I wouldn't place a timeline on it yet," he said.